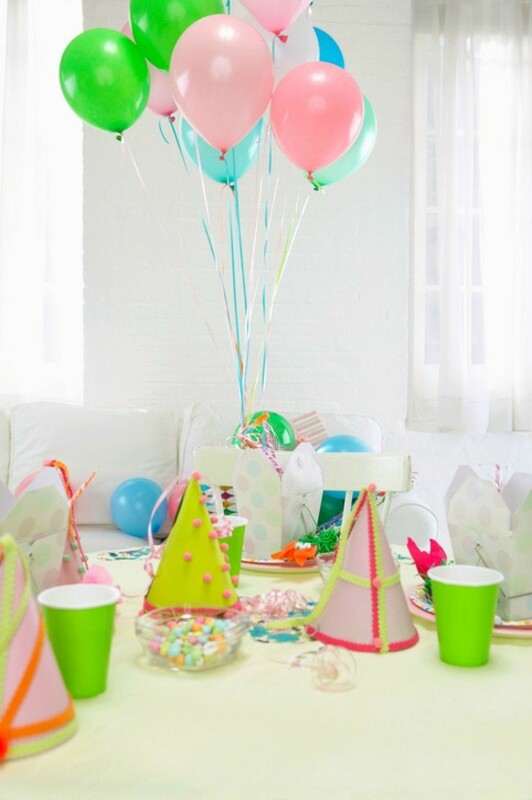 If you need to celebrate a birthday on a budget, there are all sorts of inexpensive ways to provide food, entertainment and decorations. This guide contains cheap birthday party ideas. I'm turning 17 and I have a low budget, but I want a good fun party. Can anyone help me with the games and stuff? My birthday is on March 1st. Please help! I have no idea how the weather is in your area so I will just mention a few things that came to mind. Set up a water gun battle with your friends. Split up into two teams, designate an out area for people to go once they have been hit. Desgnate the area of play, go to opposite corners and come out fighting. Second idea: have a karaoke contest or an air guitar contest. You could even make it an air "band" contest. Split people up and have a volleyball game. Just be creative and have fun. My 17th birthday is coming up and I don't know what to do. I don't have a job and my parents don't do anything for me. I need something low budget and fun to do for my birthday. Happy birthday to you. If you live near a lake or some type of park with a pool, or place to swim you could have a birthday cookout. The weather now is perfect for it. Ask your friends to bring a side dish of cole slaw, chips, 2 liter sodas, and fix hot dogs or hamburgers. Ask your parents to come along or even make your cake. Dollar Tree has lots of color choices of streamers, balloons, paper plates, etc. You can hang up the miniature Christmas lights if you have electricity there. Since you're 17 you all could play horse shoes, Frisbee, or badminton. Ask your friends to bring any of those things they have along. If you get everyone to contribute by bringing the things mentioned then you're not out a lot of cost. I'm sure they will because those things alone could be your gift. So you all can have fun on your special day. Have someone bring a camera to take pictures too. Check out local papers for upcoming walk events for some great cause and ask your friends to join you there! It is really lots of fun and perhaps you can all help a good cause in tribute to your 17th birthday! Well to make it simple and easy on the wallet try going to a movie with just your closest friends say (2-4) then a slumber party in which generally everyone stays up to gab. So have your friend's bring a favorite movie and watch movies while you gab. You could make homemade pizza or have popcorn. If you want bake or have your mom bake a cake and have traditional cake and ice cream. Or if you like bowling try that. If that is too boring, do you have a tent? You could sleep out as well as watch movies and have cake and ice cream or pizza. I thought of another idea too. If you have a karaoke place near you that is a safe fun place, no alcohol, you could go there with a few friends and have fun goofing off singing and then go out for pizza. I like the camping idea too from the other post. We have a few karaoke places near us that are just small with a restaurant type setting. They offer hot dogs and pizza and it's fun and safe. Not sure all places offer that. Do you have a drive in theater near you? it's fun to go there with a bunch of friends. Have someone take a pickup truck so after you're in there you can sit in the back with lawn chairs or even on the ground with an old blanket. If you do camp out with friends you could do that in your yard and have a ring fire for marshmallows and hot dogs. Campgrounds only charge like $8 to $10 for a tent camp site housing up to 3 tents. That would be fun to do that and doing the night time cookout, lights party theme idea with friends. You could let your friends pay for the campsite as your gift and use my other ideas posted to save on money. Some places have boat docks that rent out pontoon boats for like $35 to $50 for a full 24 hours. You could take like 6-8 friends and do that, you can grill on them with your small propane grill and swim in the lake or lay in the sun. Just be safe and not drink and drive or drink and swim. Know your friends and their personality to make sure it's a fun, safe time not one where others get hurt. Since you're on-line save money by not having to use stamps or buying invitations and email them invitations by email. There are lots of free sites to use; hallmark.com has free ones. You could email your friends first, let them know what you have in mind and ask are they interested and then have one of your friends email out the invitations. I am not getting personal, but you say your parents don't want to help. Is that at all or just financially? because your mom can bake your cake whether they come or not. Have one of your friends take pictures, better yet have 2 or 3 take different cameras to get shots you don't see them taking. After it's all said and done have one of your friends put together a book of the fun day you had. You can do that with just construction paper and put it in an old school book holder.